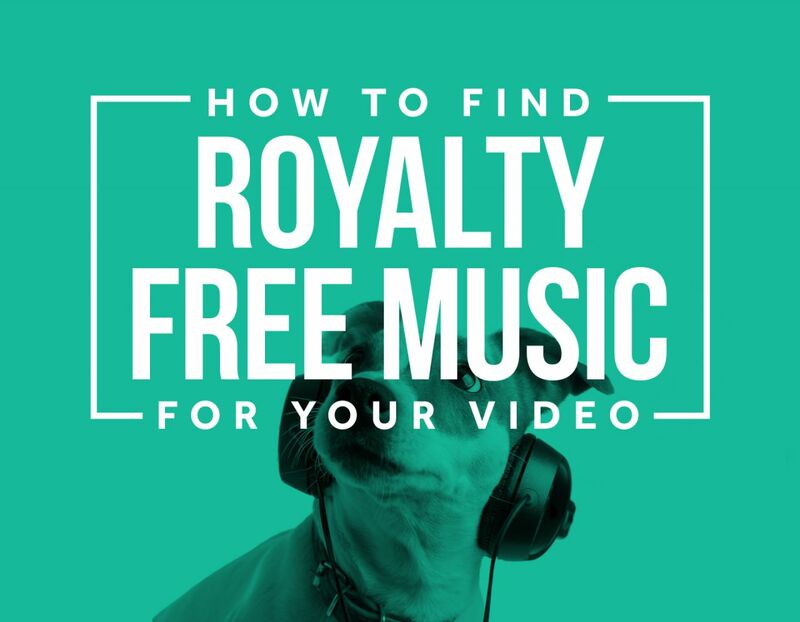 Finding good, royalty free background music to download and add to your videos can be really hard. If you’re willing to either pay a small amount of money or at least give a credit at the end of your video, there are a huge range of options out there, but if you’re after a completely free (i.e. non-copyrighted, license and attribution-free) song, options exist, but they’re limited. It’ll take a while to find anything decent and the quality probably won’t be great, but I’ve done a heap of research and compiled a list of the best royalty free and copyright free music sites (and the best not-so-free ones) to save you time. Copyright laws are different in every country, but generally you can’t just download any mp3 you like and add it to your video (unless you’re cool with being sued into bankruptcy). You might think you’ll just be hit with a cease-and-desist letter, but there are plenty of people have been flat-out sued, with no warning, for an astronomical figure (think over 100k), so it’s really not worth the risk. YouTube can detect copyrighted songs, and if there’s no license or attribution, the video will be muted or will have advertising added, the proceeds of which go to the song’s rights holder. Also, stealing = bad karma, man! When you use someone else’s music, most of the time you’ll need a license, which will differ depending on where you get the song, where it’ll be seen, and if it’s going to be used commercially, so read the small print on each individual license to make sure it’s legal for you to use it the way you want. AudioJungle Great search engine, lots of ways to refine your search, I’ve never failed to find the perfect track for my video. Prices are generally in the $10 - $15 (USD) range, the same price as a cup of airport coffee. Tunefruit Nice, simple site with an easy interface, a great selection of music and useful search function. My only gripe is that the songs are a bit pricey, with most of them between $45 and $55 (USD). PremiumBeat An excellent selection of music but if you’re after something specific, it can be hard to find. Most tracks seem to have a blockbuster movie feel to them, which is good if you’re making a blockbuster film but not so good if you’re making a short promo for your accountancy firm. Prices are around $40 (USD) per song. Bedtracks Good selection of music and an interesting feature where you can enter the YouTube url of a song you like and the software will show you songs on their database that are a bit like it. It’s still a bit hard to find what you’re looking for and can be quite pricey depending on what you’re going to do with your video. AudioBlocks Some pretty good music but the limited search function means you have to search for a long time through irrelevant music that doesn’t sound anything like what you’ve searched for. Price and licensing is very reasonable however, coming in at $70 USD per year for unlimited downloads that you can keep using forever. If you’re a cheapskate, there a lot of good libraries where you can download music for free, but you’ll need to credit the source. Incompetech This is one of the best and most popular sites for lower-end filmmakers looking to score their short film or feature for free. It can be hard to find exactly what you’re looking for because the range is relatively small (because it’s all by one guy, Kevin MacLeod), but what is there is pretty high quality. Bensound Another site where it’s all the work of one guy, so the selection is very limited but what’s there is of good quality. Quite a refreshingly friendly and easy to use site. Free Music Archive Awful search function makes it impossible to find anything with a specific feel. Has a lot of great music but you’ll probably find the track you want has an incredibly restrictive license so I feel like this will be a waste of time for most people. Jamendo The excellent search function will help you find that they don’t have what you’re looking for really quickly. Freesound Eclectic collection of sound effects and shorter soundtrack-y stuff, but a desperately inadequate search function means hours of searching with no guaranteed reward. These are the best sites to download completely free background music for videos - sites where you don’t need to pay, you don’t need a license, you don’t need to do anything except download the track and use it however you like. Free Stock Music A clunky interface means it takes a while to sift through what they’ve got, and the selection is quite small, but there are a few little gems that might be OK.
Free PD PD stands for ‘Public Domain’, which are songs where copyright has lapsed so they technically no longer have an owner (or the owner has relinquished ownership), so you can use them free, with no attribution, anywhere you like. The quality isn’t too high and the search function isn’t the best, but hey, you get what you pay for. Public Domain 4 U A nice collection of old tunes that have entered the public domain, mainly pre-1940s stuff taken from old records. Think jazz, blues, big band, classical, that kind of thing. After you’ve found the perfect piece of music, you may need to change the file format, make it shorter to cut down on the file size, fade it out or even add sound effects! To do this there are a lot of good sound editing programs out there, but for beginners I’d recommend Audacity - a great program that’s free and easy to learn. Biteable has a good selection of free music to use when you’re making a video, but if you’ve exhausted all our options or are looking for something a little different, I’d definitely recommend buying a track from one of the cheaper paid sites. No matter how you go about it, it can be hard to find what you want, but when you do, it can make your video 150% better, so happy hunting and good luck out there!